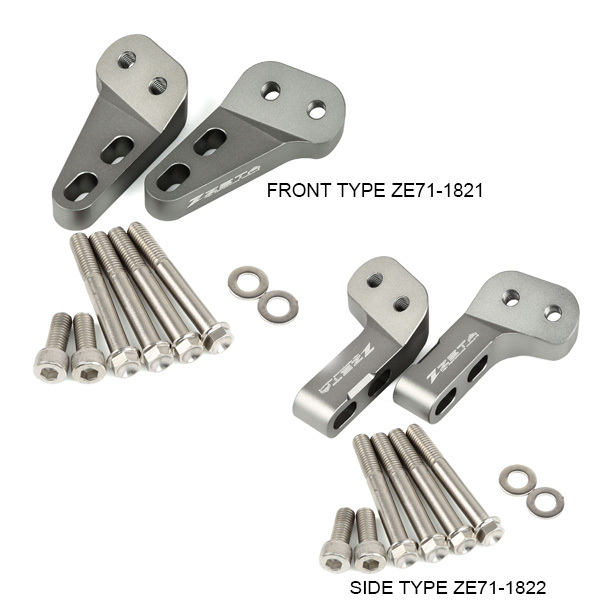 - Top triple clamp rigid mount kit for Armor hand guards provides more durable fitting. 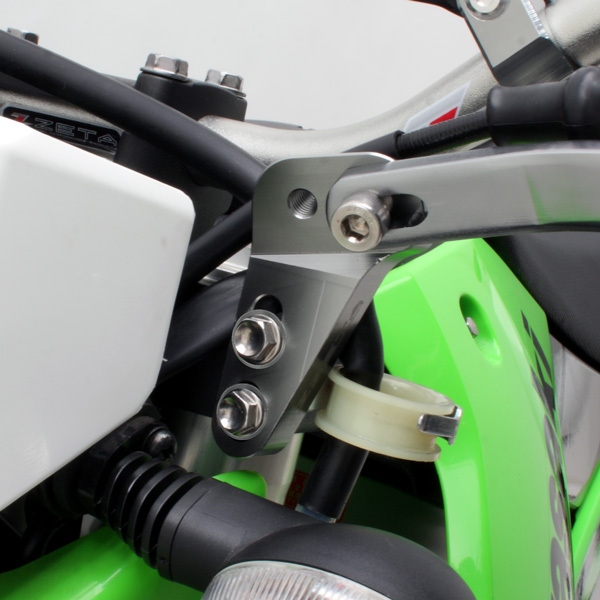 - Prevents rotation of hand guards and protects your control levers and throttle in the event of a fall. 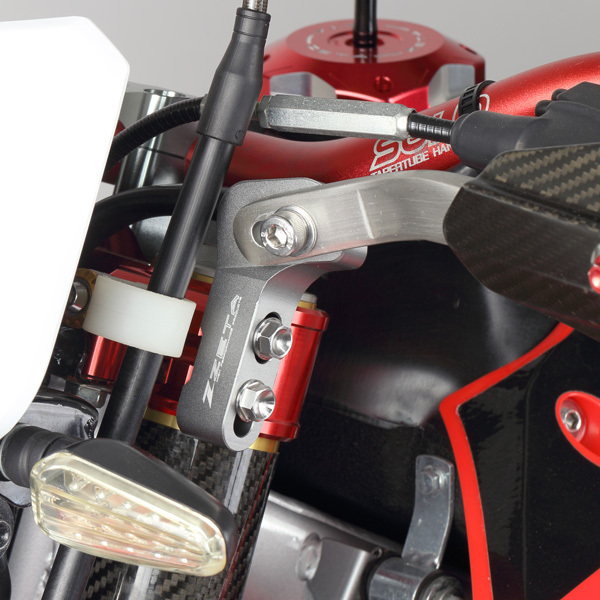 - Can be used on motorcycles which the top clamp fork bolts are attached from the side. - Made of CNC machined A7009 aluminum, hard anodized titanium color with laser printed logo. - Comes with special attaching bolts. * Can not be used on top clamps which fork bolts are attached from the back. * Hand guards modification may be needed to fit some handlebar bends. - Can be use for motorcycle which the top clamp fork bolts are fitted from the front.